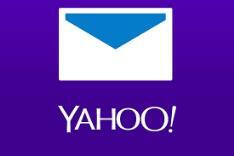 Yahoo, which is now a part of Oath Inc., has been reported to persist in the sale of user email data to advertisers. This practice, which Google for one has sworn off in the past, may include the scanning of information concerning purchases sent by online retailers. The tech giant Yahoo is now a part of Oath, which in turn has been absorbed by Verizon Communications. It remains one of the biggest email providers in the world, with hundreds of millions of accounts. Recent reports have reiterated the claim that it is still associated with the sale of the data contained within them to advertisers. Unlike Google or Microsoft, Yahoo has been linked to email-scanning programs that extract the potentially valuable data from messages. This data is then handed over to advertisers so that they can target the users in question with more relevant ads. Furthermore, there are indications that Yahoo even includes digital receipts from online stores in this for-sale data. Amazon has reacted to these claims by reducing the amount of purchase information sent to customers with Yahoo accounts. This story is just one in an increasingly long line of reports about Yahoo's apparent failures to protect user privacy. The company has not responded to queries about this behavior thus far. They include questions about whether the email-selling practices breach the terms of the EU's General Data Protection Regulation (GDPR).